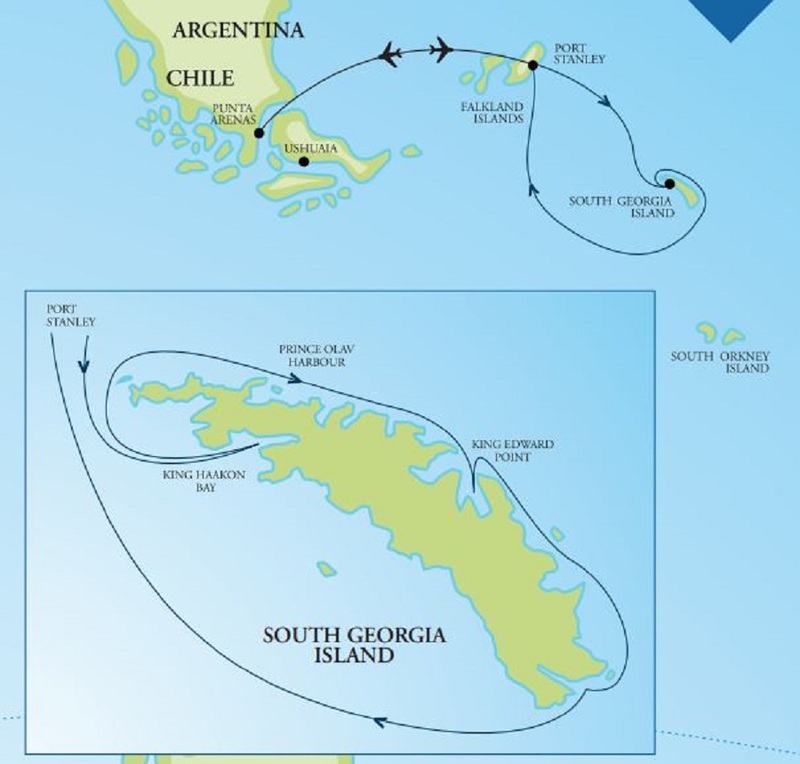 The Falkland Islands and South Georgia are the jewels of the South Atlantic Ocean. 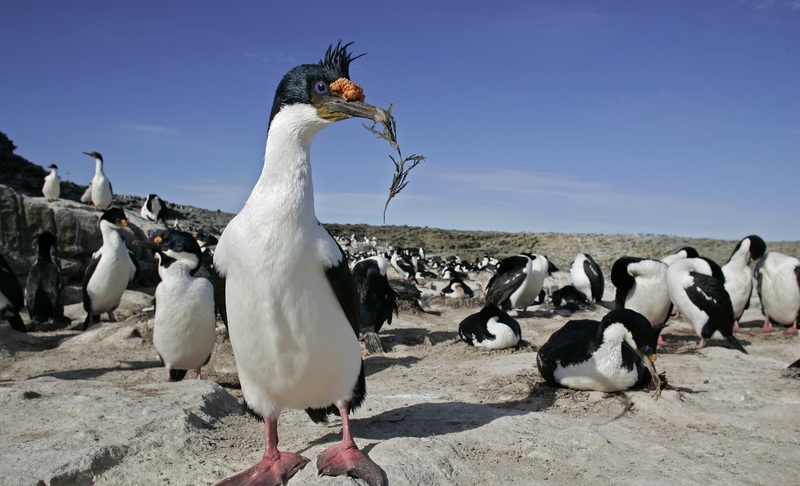 The Falkland Islands has a rich and storied history, while South Georgia has rightly been called ‘the most staggering wildlife show on earth’. After our in depth exploration, we are certain you will agree. 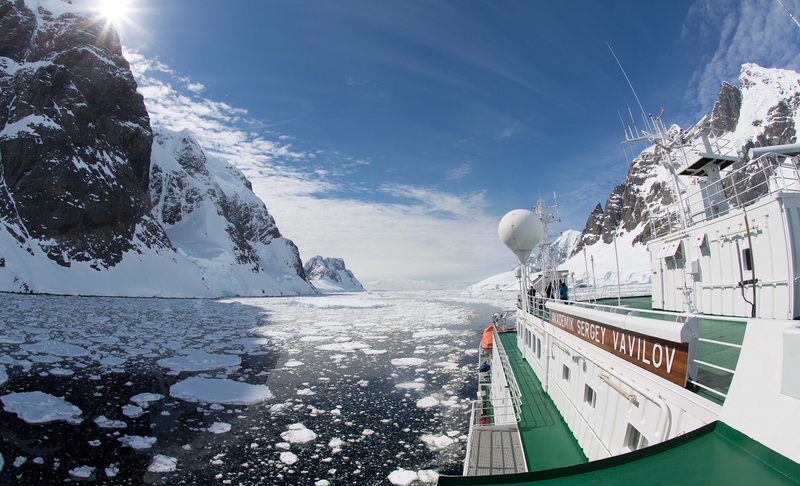 This voyage also offers a Photography Symposium Expedition for photography enthusiasts, where will you travel with a team of highly experienced photographers to improve your camera skills! In 2019 the exclusive Santiago to Stanley flight service maximises your time spent exploring! 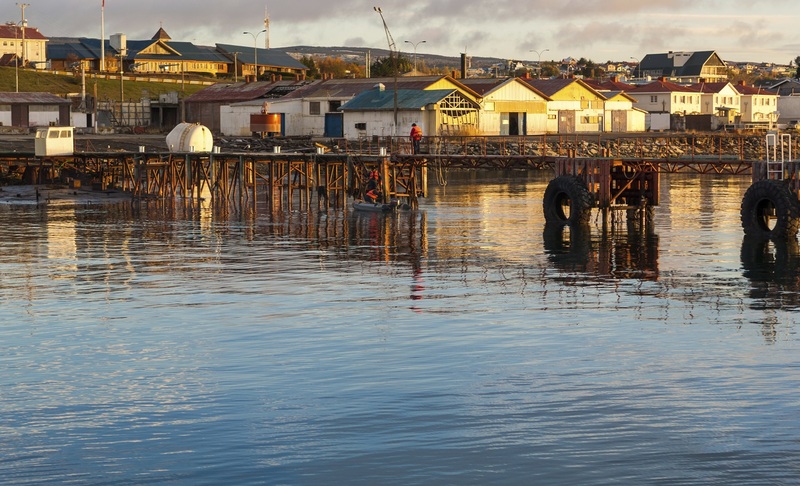 Our journey commences this morning in the southern Chilean city of Punta Arenas. 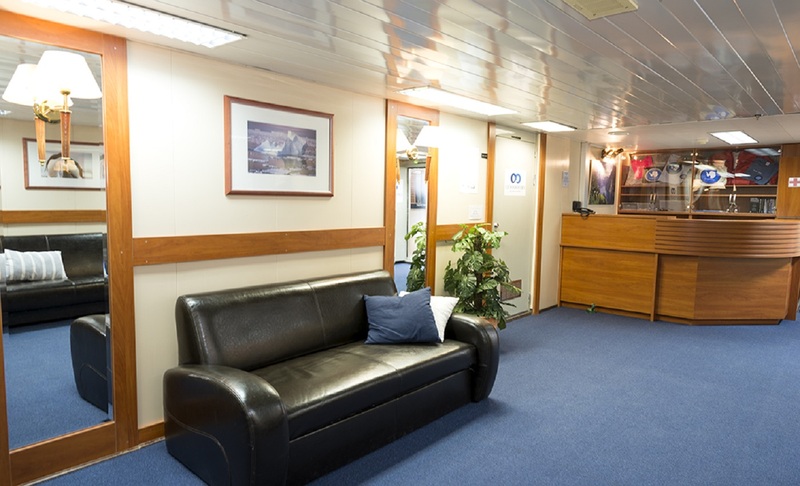 We meet at a central location and transfer to the airport for our scheduled service to Stanley in the Falkland Islands (this flight is included in the price of your voyage). After a short 90-minute flight we arrive in Stanley and are met on arrival and transferred to the pier. Stanley is currently home to just over 2,000 residents and is reminiscent of a rural town in coastal Britain. It is charming with brightly coloured houses, pretty flower-filled gardens, a quaint cathedral and several local pubs. There is time to explore the town, before ship embarkation. 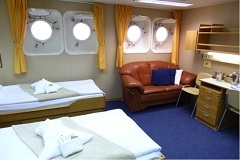 After settling in to our cabins and exploring the ship, we meet our expedition team and fellow passengers. Excitement is in the air as we enjoy a welcome cocktail, dinner and cast off, bound for South Georgia. 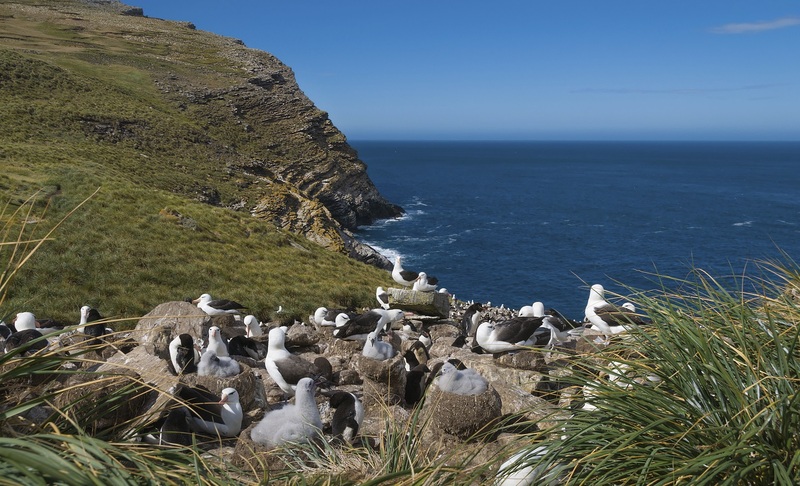 This stretch of the South Atlantic is rich in its bio-diversity and showcases an abundance of astonishing wildlife. 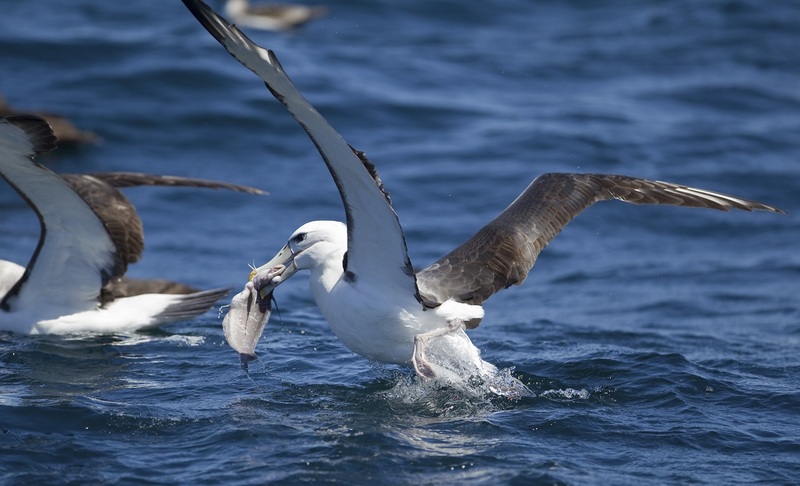 We are joined by hundreds of seabirds including the wandering albatross. Giant petrels and smaller Cape petrels are also constant companions as make our way to South Georgia. Photographing these magnificent birds takes patience and skill and our photography expert will be on hand to show you the best techniques. Join the ship’s Captain on the bridge and learn about the operations of our modern research vessel. 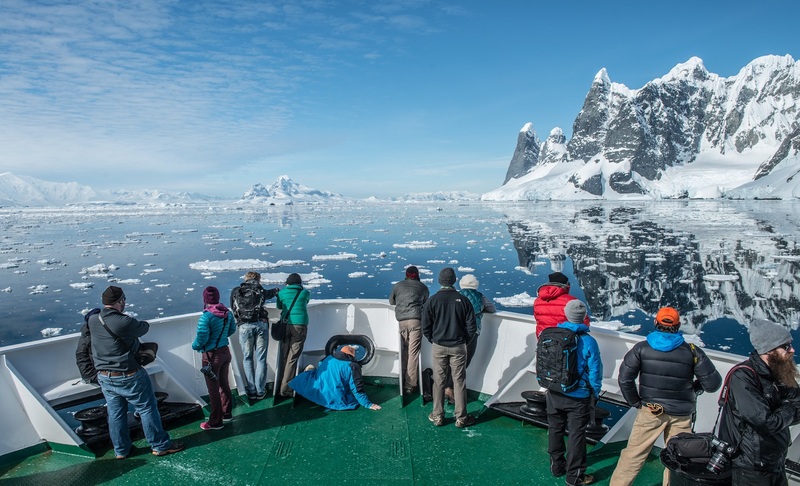 Throughout the day our on-board experts educate us with a series of presentations about the environment, wildlife and history of the locations we hope to visit in the coming days. 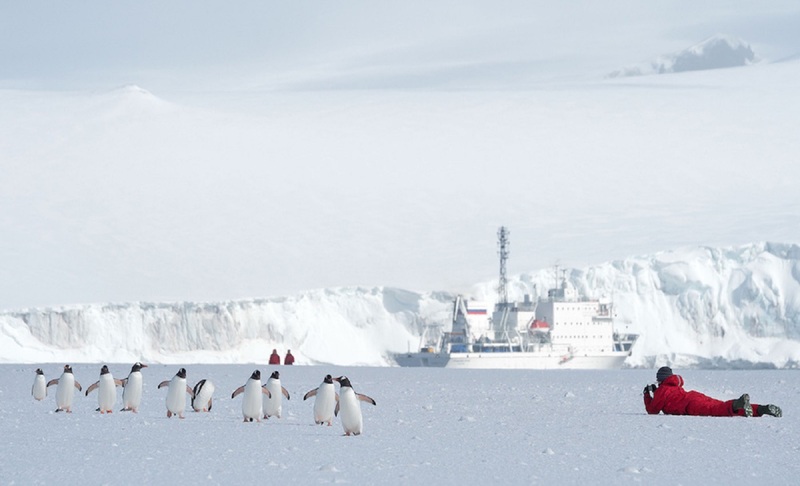 History is a key theme of this voyage and the epic story of Shackleton is central to our journey. Majestic snow-covered mountains greet us on arrival in South Georgia. Weather permitting, we begin our exploration on the southern coastline. 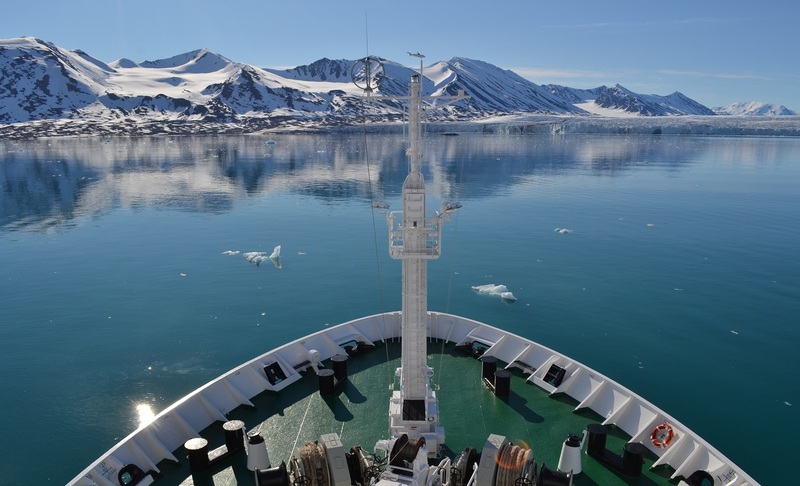 We hope to navigate the ship into the very historic location of King Haakon Bay. 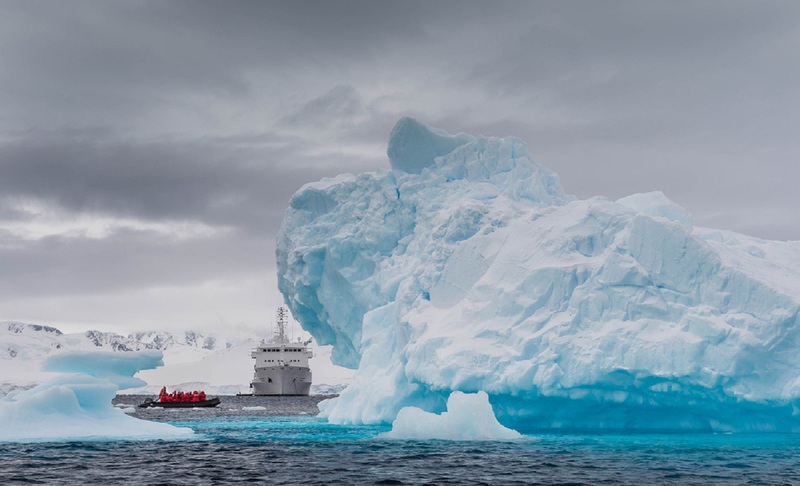 It was here that Shackleton and his men made landfall in their small lifeboat – the 'James Caird', after completing the perilous ocean crossing from Elephant Island, a century ago. This is a very dramatic place, visited by just a handful of ships each season. From here, we make our way around to the more protected waters of the north-eastern coast. 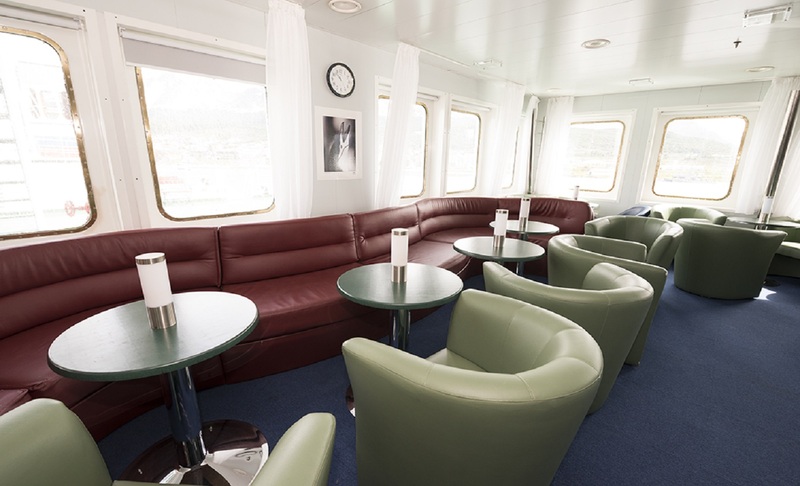 We can now indulge in an in-depth exploration, navigating into the bays and harbours the entire length of the island. Elsehul Bay allows for great Zodiac cruising and will be a possible location we will launch the kayakers for a paddle. One of the most anticipated sites in South Georgia is Salisbury Plain. 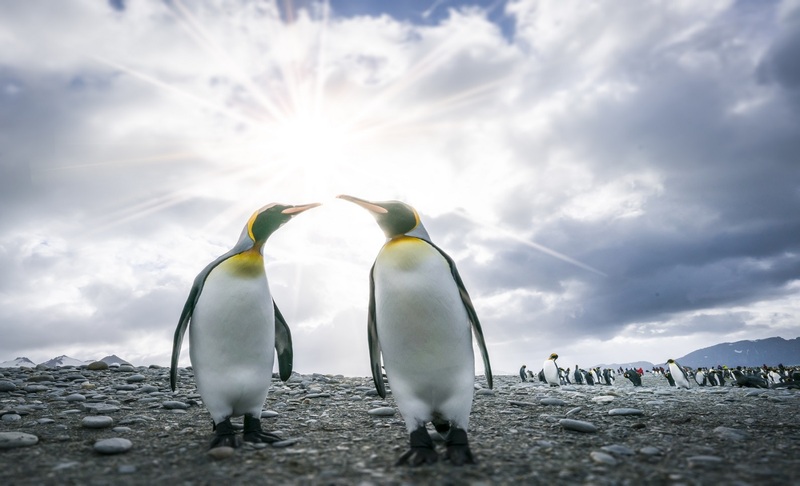 The black sand beaches and tussock covered dunes are home to a staggering abundance of king penguin adults and their young. The rookery is estimated to have a population of up to 100,000 adult and juvenile penguins. 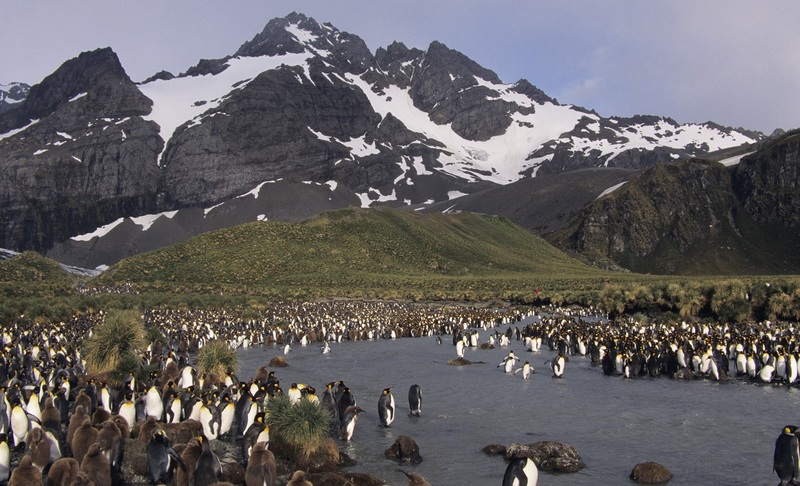 This is just one of several such king penguin rookeries on South Georgia. At the height of breeding season, the rookeries are believed to have more wildlife per square foot than any other place on the planet. The majestic ‘Kings’ are not the only wildlife on display as we explore the rugged coastline. 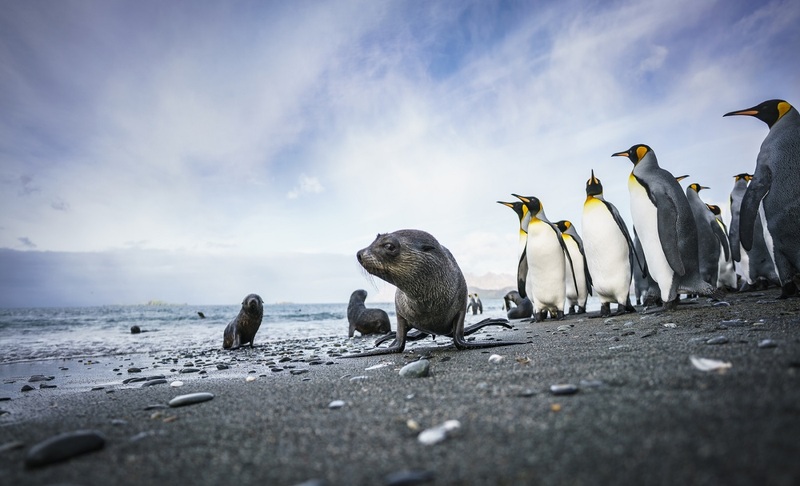 Fur seals can be seen poking their heads above the water, the elephant seals enjoy lazing about the beach, while the skuas and giant petrels fill the skies above. 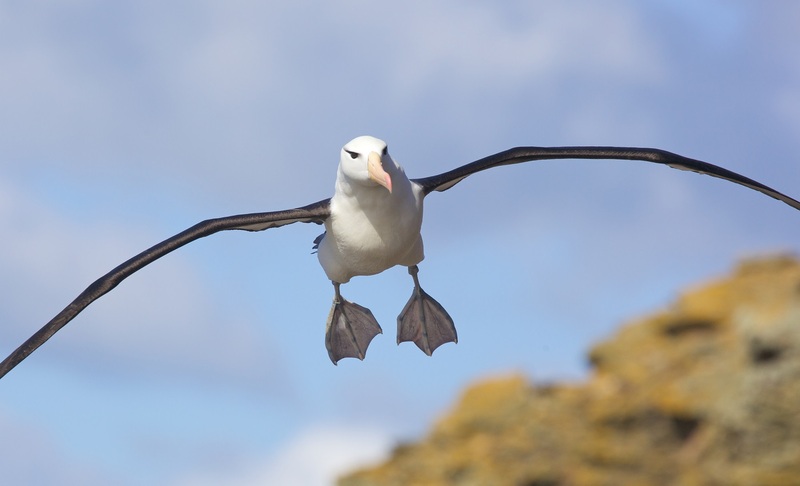 Meanwhile, the albatross – our constant companion on this journey – is never far away. Fortuna Bay is a majestic three-mile long fjord. 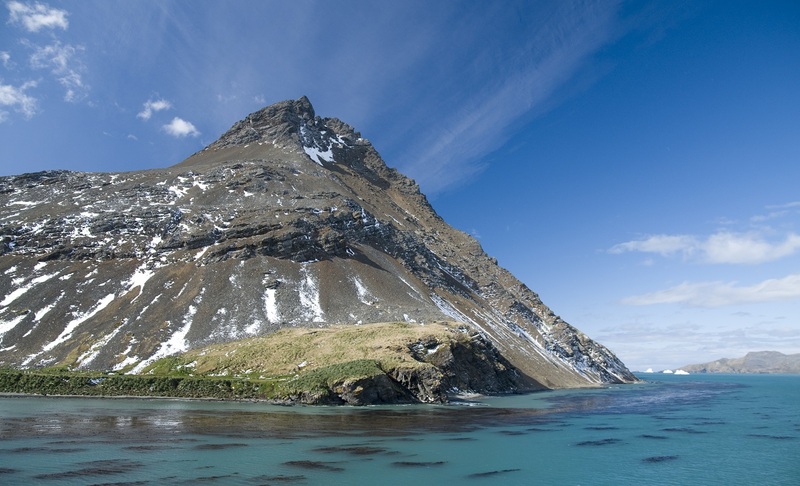 It was named after the ship 'Fortuna' – one of the original vessels of the Norwegian–Argentine whaling expedition which established the first permanent whaling station at Grytviken - further along the coast. History comes into sharp focus as we continue west to Stromness and onto Grytviken. From 1912 until the 1930s, Stromness (and nearby Leith and Husvik), operated as whaling stations and the rusted and ghostly remnants of these old stations seem out of place in such a pristine environment. This area is key to the Shackleton story and it was here in 1916, that Shackleton and his companions, Frank Worsley and Tom Crean, arrived after their epic mountain crossing from King Haakon Bay on the south coast. 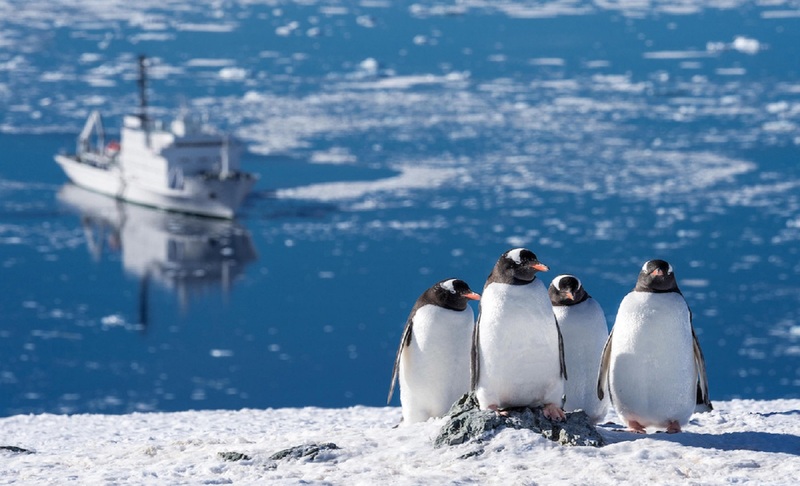 This is after having completed their 800- mile journey by small boat from Elephant Island in Antarctica. If the weather co-operates, we hope to hike in Shackleton's footsteps, the last few miles across the saddle separating Fortuna Bay from neighbouring Stromness. Eventually we enter the broad expanse of Cumberland Bay, anchoring off Grytviken – the largest of the old whaling stations on South Georgia. 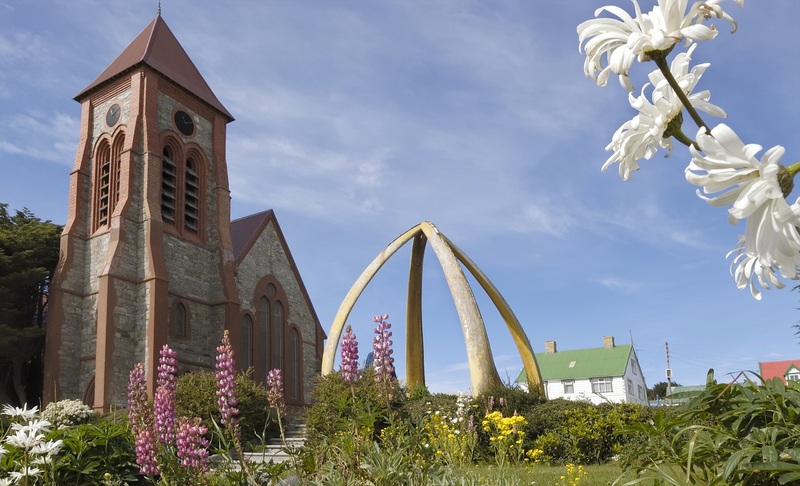 A highlight of our landing here is a visit to the grave site of Sir Ernest Shackleton and his loyal right hand man, Frank Wild. 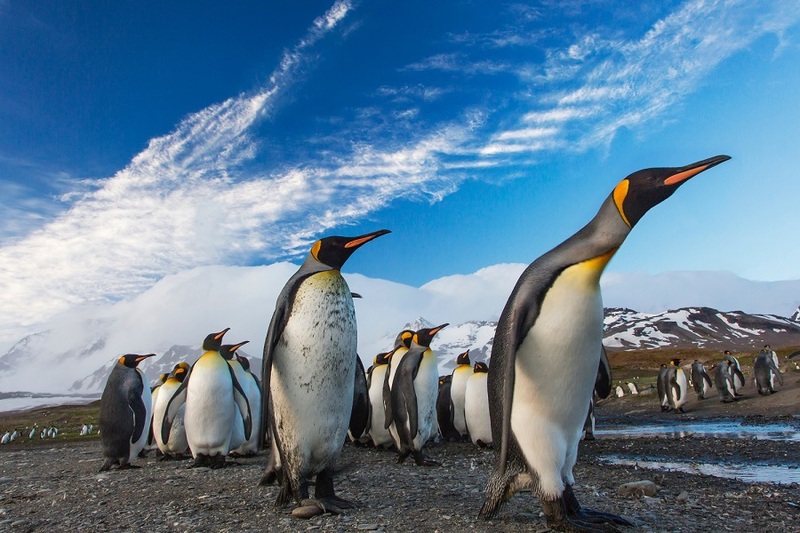 king penguins. 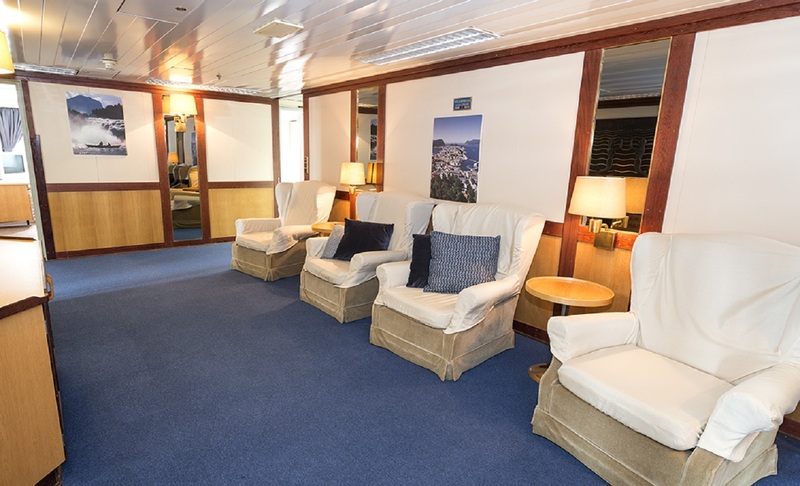 As with all of our landings we will exercise every opportunity to explore on foot with our experienced guides. Gold Harbour is so called because the sun's rays make the cliffs yellow with their light in the morning and evening. It’s an exhilarating location. Drygalski Fjord at the far eastern extremity of the island has been called one of the most spectacular sites in South Georgia and we think you will agree. 26 Oct 2019 - 09 Nov 2019 $10295 USD US$1200 travel credit! 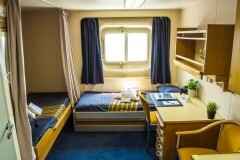 Triple Share Cabin $10295 USD US$1200 travel credit! 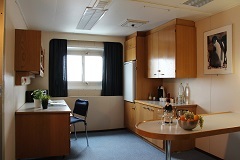 Twin Semi Private Cabin $12495 USD US$1200 travel credit! 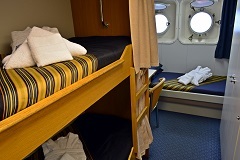 Twin Private Cabin $13795 USD US$1200 travel credit! 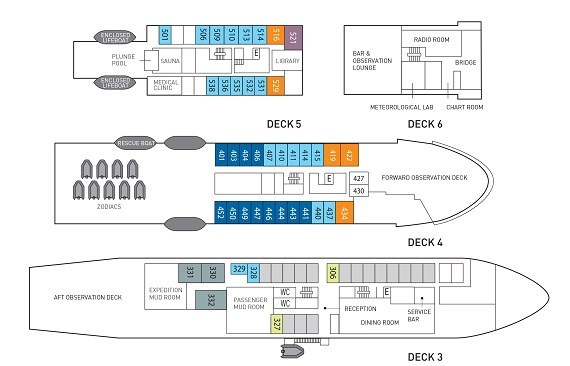 Superior Cabin $14695 USD US$1200 travel credit! 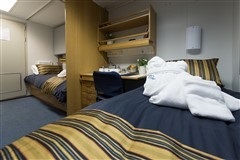 Shackleton Suite $16695 USD US$1200 travel credit! 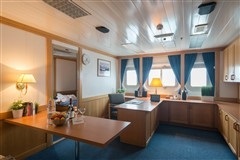 One Ocean Suite $18495 USD US$1200 travel credit!